Risky, bold and purposeful are three words that describe the most successful brands today –at least according to Pizza Factory CEO Mary Jane Riva, who recently shared her expertise on why taking a stand and being bold can strengthen a company. In her feature for the October issue of Franchising USA, Riva reminded readers that brands have the opportunity to use their influence to stand for something, and aligning your actions with a cause that’s reflective of your company values will further support your brand mission. She focused on supporting a cause, engaging with community and making a difference as effective ways to use that power. Additionally, taking a stand on societal issues (when appropriate) can be a great opportunity to interact with your fans and potential customers. In fact, nowadays, people want brands to speak out – a 2018 study by Cone/Porter Novelli found that 71% of Americans expect companies to connect with them emotionally on issues that matter to them personally. Riva referred to Pizza Factory’s family-friendly restaurants and its “No Bully Zone” program, which aims to put an end to bullying. The restaurants have signage, napkins and other messaging about the No Bully Zone, which prompts a lot of questions from guests. Riva stressed that this is a great way to open up a conversation about the issue. 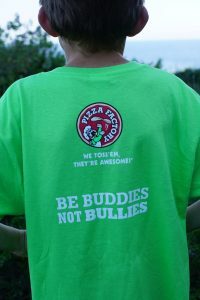 Pizza Factory’s most recent initiative has involved donating “Friends are Awesome” benches as a way to extend the anti-bullying message into schools. The brand visits elementary schools across the country to present them with a symbolic bench and to discuss the importance of friendship and inclusion when kids are at an impressionable age. Pizza Factory’s anti-bullying program and commitment to encouraging its employees and guests to treat others with respect wins it high marks in local communities and media coverage. It is important, Riva noted in her article, to consider the effect that a brand’s actions can have on the world. Being bold and voicing your opinion on important matters can be an effective way to strengthen your business (brand) and open the door for a deeper, emotional connection with your customers. 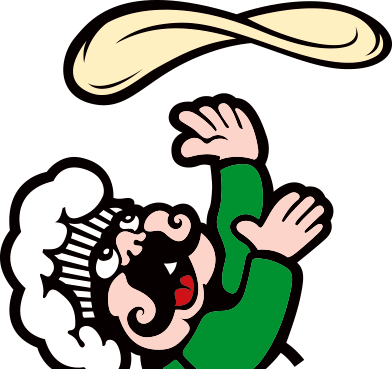 Learn more about Pizza Factory and its commitment to communities.